There’s nothing like taking a walk at night and being awed by a magnificent garden that’s fully lit up for passersby to admire. Nonetheless, there’s also something to be said for subdued lighting that highlights certain features of a garden. You can create these types of effects, whether you want to enhance your own home or your business property. In the San Antonio and Austin areas, Enhanced Outdoor Lighting can offer our expertise to help you achieve a stunningly lit garden area. Garden lighting can be used for many purposes and benefits, depending on your preferences. It helps show off the garden you invest your green thumb in so that everyone can see it day or night. You could also add drama and interest to the exterior of your property by lighting up the garden, which boosts the first impression of the property and its curb-appeal. Plus, lighting can enhance the colors, textures, and layers to add to a garden’s design. These benefits are significant if you want to impress customers and clients at your business or help your home stand out to guests or potential buyers. Perhaps you simply want to increase your enjoyment of your property, and there’s nothing wrong with that. After all, garden lighting could help you revel in the beauty and colors of your flowers and plants well after the sun sets. You have many options for garden lighting. You can light up certain gardens, specific trees or plants, or a large section including the lawn. Some properties look amazing by highlighting garden areas and leaving the lawn dark for contrast. Nonetheless, other spots might be best enhanced by brightening the entire yard and the gardens around it. Shining light on the lawn can provide the added benefit of showing the height of the trees, shrubs, and plants in relation to the ground. If you’re not sure what would look best on your property, keep reading for inspiration and ask our experts for help. Garden lighting is an ideal way to enhance a property, especially if your outdoor area includes impressive spots worth highlighting. Nonetheless, lighting can take a basic area and turn it into an awe-inspiring one. It’s easy to get excited about the many possibilities a garden offers for outdoor lighting. You could create special break areas for your employees by lighting up certain garden areas. You could brighten garden areas, so they shine through the windows for everyone to see from indoors. You have the choice to enhance the front of the building, so it draws the eye from the road or to design stunning private areas solely for certain people to enjoy – or both, of course! Brighten up specialty gardens, such as butterfly or herb gardens, and bring out the vibrancy of flower beds. Add light to the shimmer and movement of water gardens and enhance the details of your grass and shrub areas. You could use lighting in different ways throughout your yard to bring out the natural wonder of each garden. Garden lighting can enhance your entire landscape design to make the full exterior of your property stand out. We can customize your outdoor lighting to fit the overall design and the separate features of your landscaping and garden areas. This can include your landscape garden features such as boulders, natural stone structures, and pathways within the design. We use lighting solutions that work with the outdoor landscape of your property. Our lighting is strong, durable, and able to handle changing outdoor conditions. We have lights that do not give off heat that would affect your plants, and that can withstand areas that are heavily watered. We are also able to create softer or brighter styles. We can customize our solutions to the different conditions throughout your gardens. When you put endless effort into having spectacular gardens on your property, make sure they are just as lovely by night as by day with specialty lighting. You put your full expertise into your gardens or rely on the help of garden design professionals, so your garden lighting should be professionally done to meet the high standards of your outdoor design. 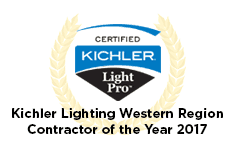 We provide lighting experts at Enhanced Outdoor Lighting & Design. We understand how to expertly highlight small plants compared to large and growing trees and shrubs. We create beautiful lighting designs that add to your gardens and bring out their beauty at nighttime. In many cases, we can hide the light fixtures to let the visual appeal of your flora shine through. 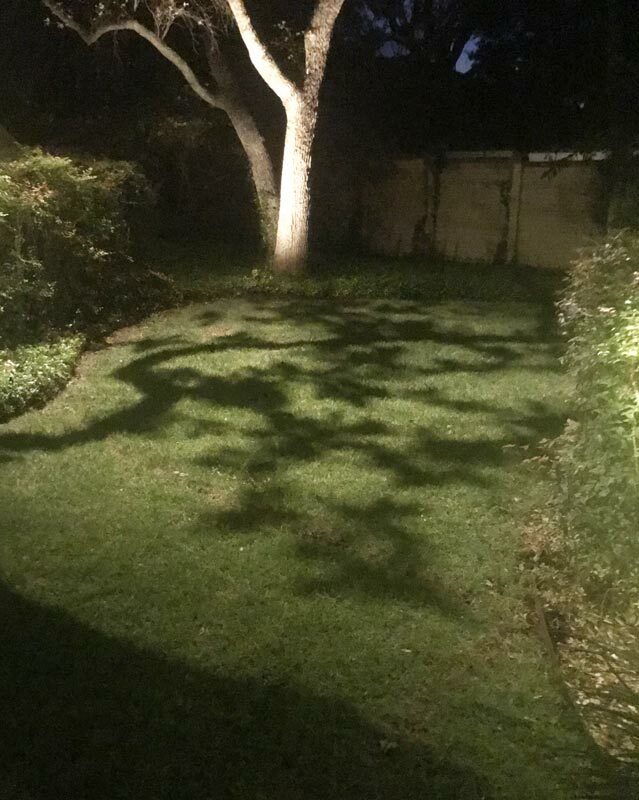 Contact our lighting specialists at Enhanced Outdoor Lighting to set up a free consultation to discuss how we can use our expertise to improve the nighttime visibility of your gardens.